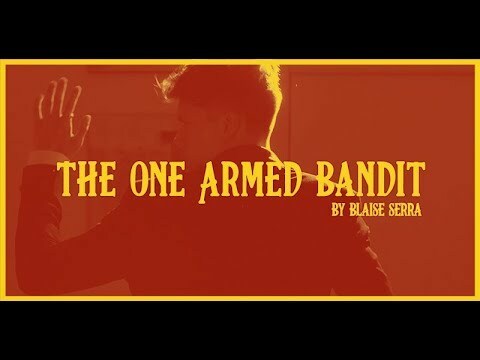 Blaise Serra is the creator of ‘The One Armed Bandit’. One hell of a move where the spectator FREELY chooses a card, and with minimal movements, you’re able to palm the selection from the middle of the deck. Sleight-of-hand seems impossible when the dirty hand is also the one holding the deck. 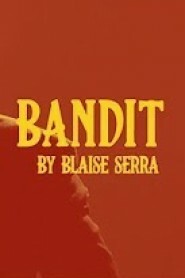 Blaise teaches you that it’s not. Double Jeopardy: A quick routine for two spectators where the selections appear alone in the magician’s hand before the audience members realize the trick has even begun. The One Armed Bandit: The routine which gave this project its name, The One Armed Bandit is a streamlined card-to-pocket with the card selected behind the magician’s back. The spectators can watch the magician’s hands closely the entire time- they won’t spot A THING. The Hamburglar: The Hamburglar introduces an original one-handed method for sandwich routines. This trick also showcases this utility move’s unique ability to control any selection not only to the Top or Bottom, but also to any location within the deck. INSTACAAN: A new take on the classic “Card At Any Number” plot, INSTACAAN is an impromptu routine during which a card is fairly selected and instantly transported to anywhere in the deck that the spectator desires. No stack or memorization required, just pure sleight of hand that flies by anyone, no matter how closely they are burning the magician’s hands. Integrate this move into any palming techniques you already do! Many variations of this utility move are also taught in detail, making this a welcome addition to any card magician’s repertoire. Prefer not to classic palm cards? No problem. With The One Armed Bandit you will also learn how to load the card with one hand from the center into any desired palming position, such as: tenkai palm, longitudinal palm, gambler’s flat palm, and much more. Blaise takes you through the move with expert tuition so you can perform this move with silky smooth accuracy.